If you can only think of leprechauns when you think of Irish mythical creatures, it’s time to think again! 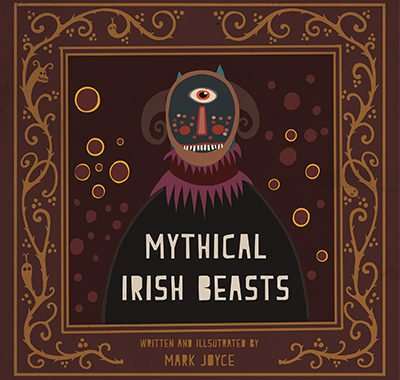 Ireland’s mythology is bursting with mysterious and fantastical characters, and Mark Joyce’s new book, Mythical Irish Beasts, is the perfect way to explore our magical heritage. While Ireland is certainly full of beautiful landscapes, “this is only the surface view of an old land that is full of mystery and magic.” The book is packed with some supernatural creatures you may have heard of, like the banshee, and many more that may be new to you, such as the Suileach, a monster with 400 eyes who is the namesake of the River Swilly (where it lurks) or the Airetech, a creature from the underworld who has three beautiful daughters who can transform into werewolves. In this beautifully designed book, to be enjoyed by both adults and children alike, the author brings us on a fantastic journey through Irish folklore with his stories of monsters and demons, all brought to life through his original illustrations. 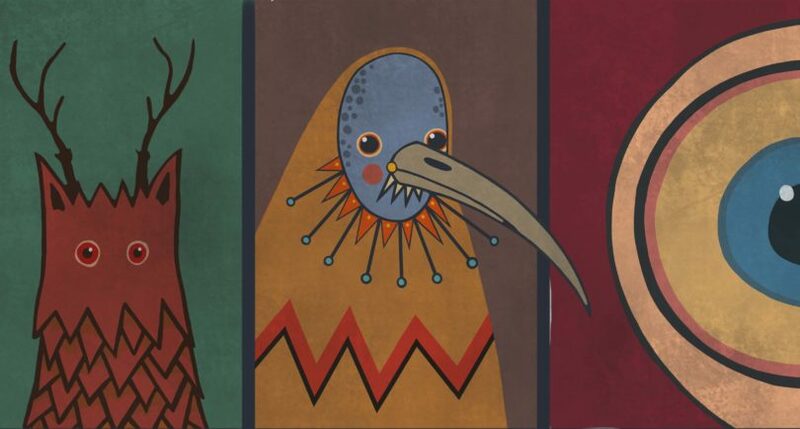 He uncovers local stories of monsters that have been lost or forgotten and breathes new life into them with his creative artwork. Mythical Irish Beasts captures this Ireland of mystery and magic, and brings it to life with unique, contemporary illustrations to spark the imagination. However, as he says himself, “no image can compete with a dark room and a malevolent scratching at the door”! To get your claws on a copy you can click here.